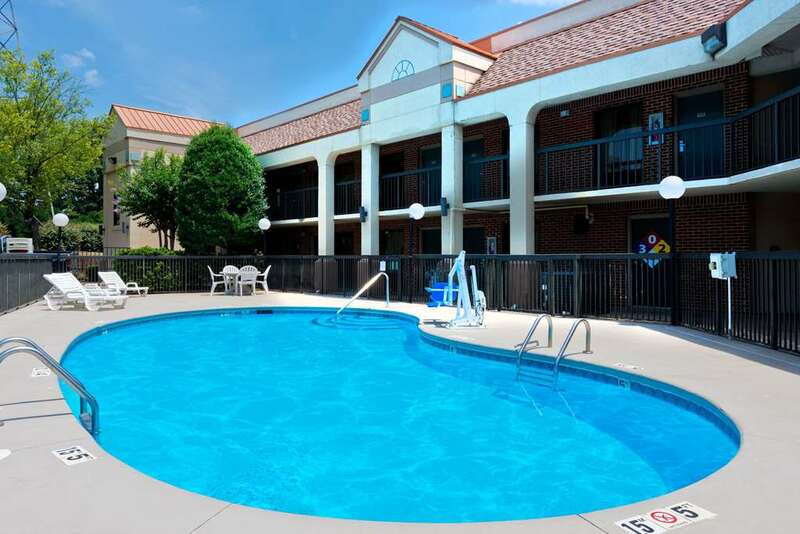 Refresh at this Super 8 Huntersville hotel located off Interstate 77 near Birkdale Village, Lake Norman, Charlotte Motor Speedway, concerts and events at John M. Belk Arena, Richardson Stadium, Verizon Wireless Amphitheatre, sports at Bank of America Stadium and Time Warner Cable Arena, shopping and many local restaurants. After a day of business or leisure, relax at this hotel with complimentary wireless Internet access, complimentary continental breakfast, fitness center, outdoor pool, outdoor parking, meeting space and business center with copy and fax service. Smoke-free, handicapped-accessible and hot tub rooms are available. Pets are welcome at this hotel. There is no charge for children 17 and under with an adult.